The results of 2016 Tucson Real Estate market are in the books. And the results post yet another uptick in the average sales price for Tucson homes. The average sales price for a home listed in the Tucson MLS increased 4.23%. That’s 5 consecutive years the average sales price has increased. The average sales price for a Tucson home for 2016 was $218,931. That is 74.6% of the average selling price at the real estate market peak in July 2007. Our market continues its long realty comeback. Year end inventory remains low. 2016 ended with just 3,750 active listings in the Tucson MLS. Days on market finished under 50 days. New home builders maintained a strong pace in 2016. Opening 40 new communities. New home buyers raced to new communities in Dove Mountain and Oro Valley. We have been told Center Pointe at Vistoso has experience 1 new home sale every other day since the project opened in January 2016. Mattamy Homes, Toll Brothers, Maracay, Del Webb and Meritage Homes have been doing well in Dove Mountain. Our experience suggests the average price of a new built home is higher than the average resale prices. Tucson Realty Review analysis estimates the TARMLS average sales price might be an additional 3% to 4% higher average sales price with new home sales included. Unfortunately, most new home sales are not included in the TARMLS statistics. Foreclosures are still a factor in the Tucson real estate market. Albeit a small one. A total of 1,820 foreclosures were recorded in 2016. Foreclosures peaked in 2010 at just under 6,800. Insiders to the foreclosure market suggest around 10% of 2016 home sales were distressed sales. This is higher then a 4% or less rate that is believed to signal a “healthy” market. On balance however, the Tucson real estate market continues to improve. Mortgage interest rates are now around 4%, but still very low from historical rates. With continued strength in the economy interest rates will be increased by the FED. That will raise mortgage interest rates. But will mortgage rates of 4.25% to 4.75% create a drag on home buyers? 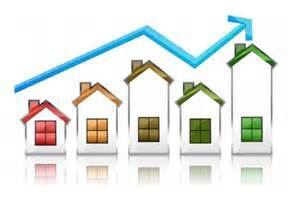 With average home prices increasing over 4.0%, home buying is a good investment. But of course, that depends on each individuals financial position. 2016 was another solid year for the Tucson real estate market. Home prices have recovered almost 75% from the highs of the peak in 2007. Some local markets are higher, some lower. Tucson’s median price for a home is $178,800. That’s under many “warm climate” markets. Tucson ranks 4th on the list of top places to retire by BankRate.com. And 3 of the four top places to retire are in Arizona. Oro Valley just minutes north of Tucson made 2 Top Ten Lists. If you are considering Tucson, AZ for your next home, we can help. Whether you are consider it as a future place to retire, a winter retreat on your next job, we know Tucson. We are a top Realtor team serving the metro Tucson area. Give us a call – 520-940-4541. We will share our knowledge about Tucson and Tucson real estate with you.